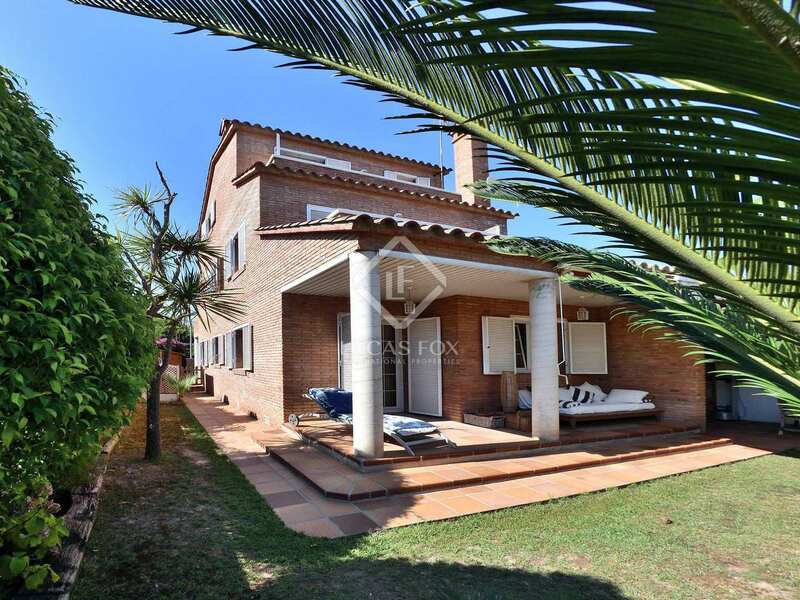 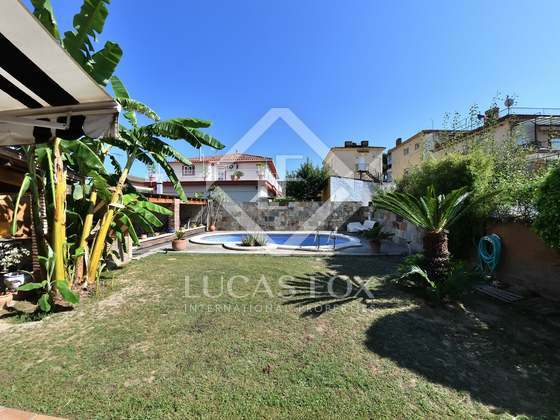 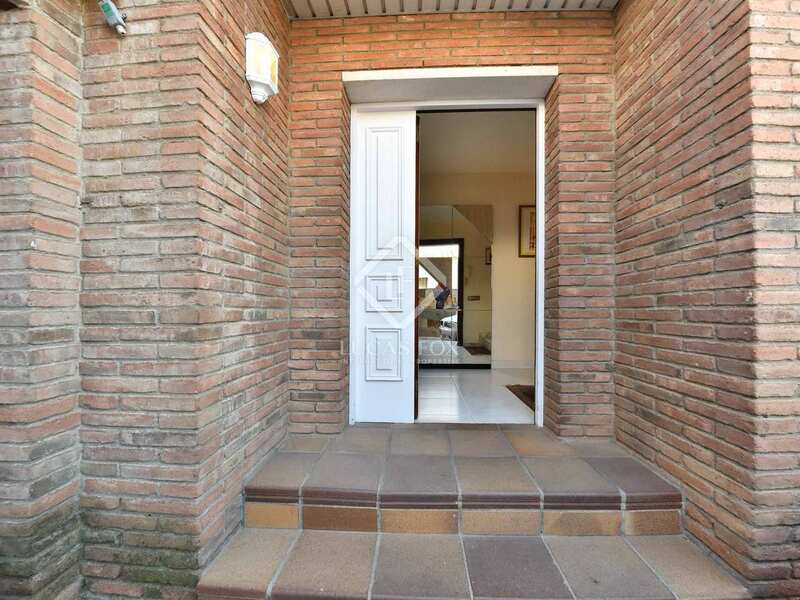 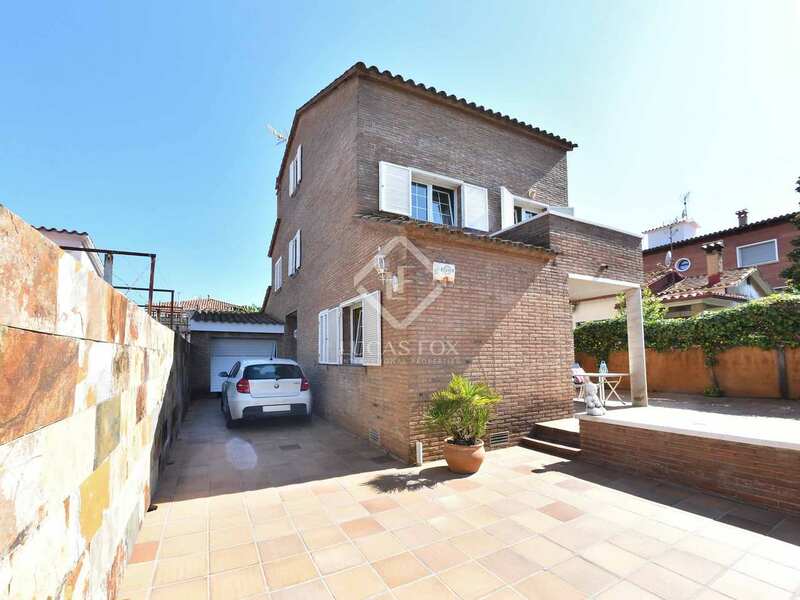 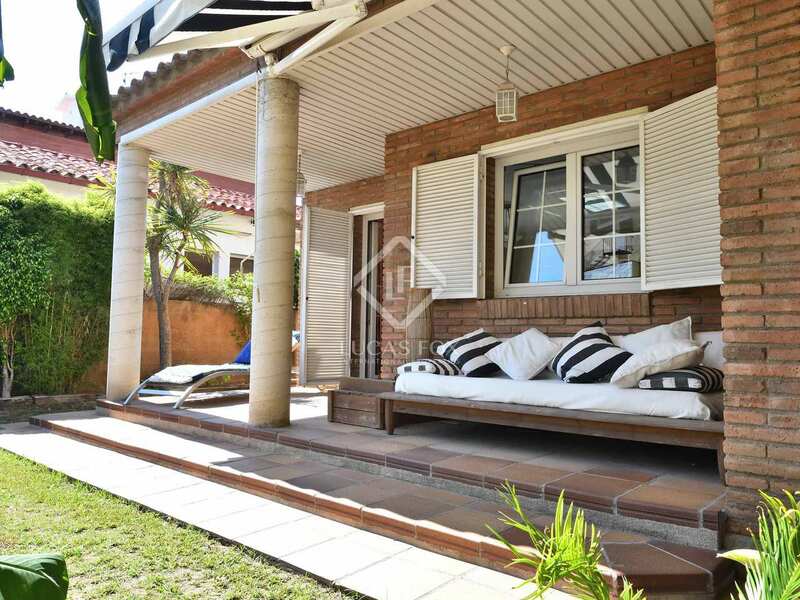 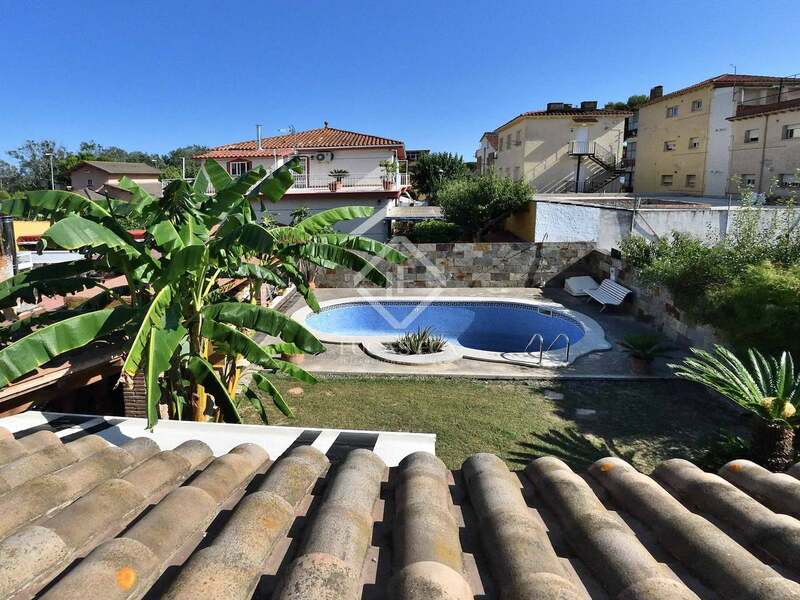 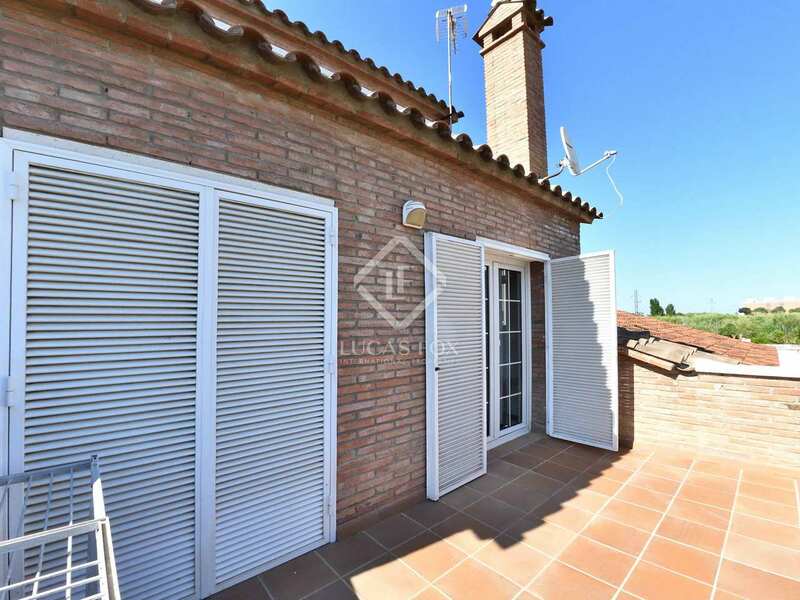 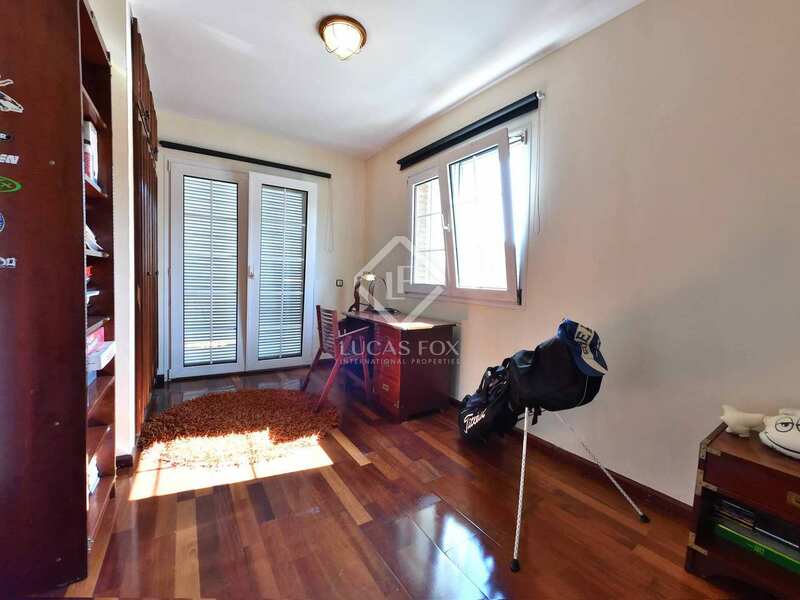 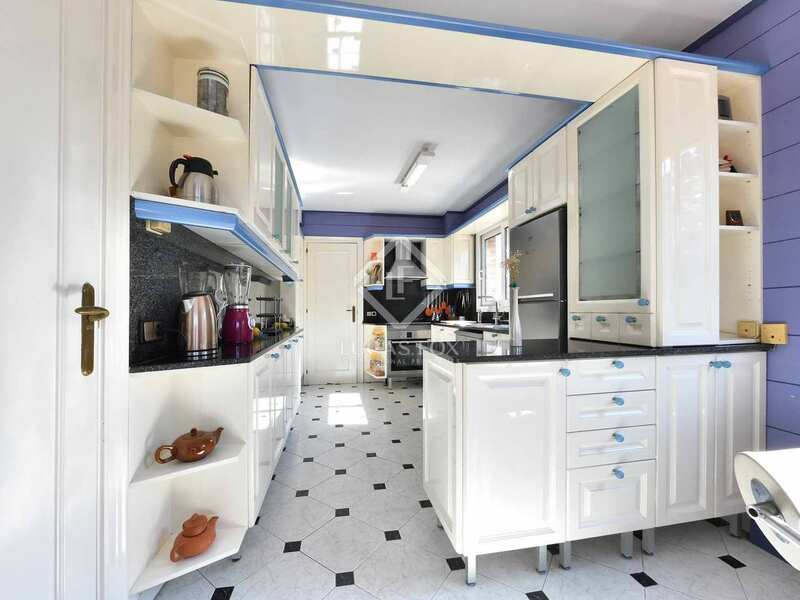 This excellent detached house is located in the peaceful resident area of Can Bou in Castelldefels. 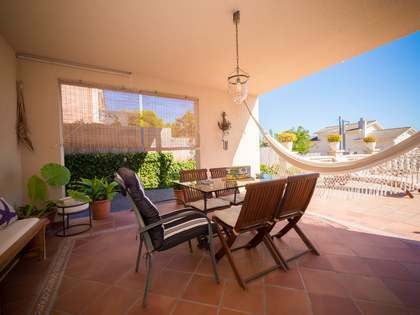 The property stands out for its terrific outdoor space and lovely views from the upper floor terraces. 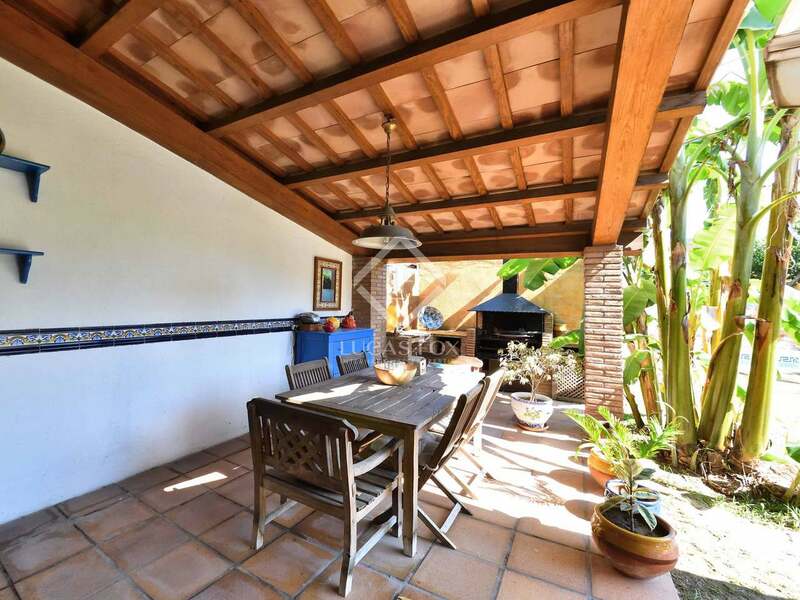 Divided across 3 floors, on the ground floor we find the spacious living-dining area with a fireplace which opens onto the covered porch and garden. 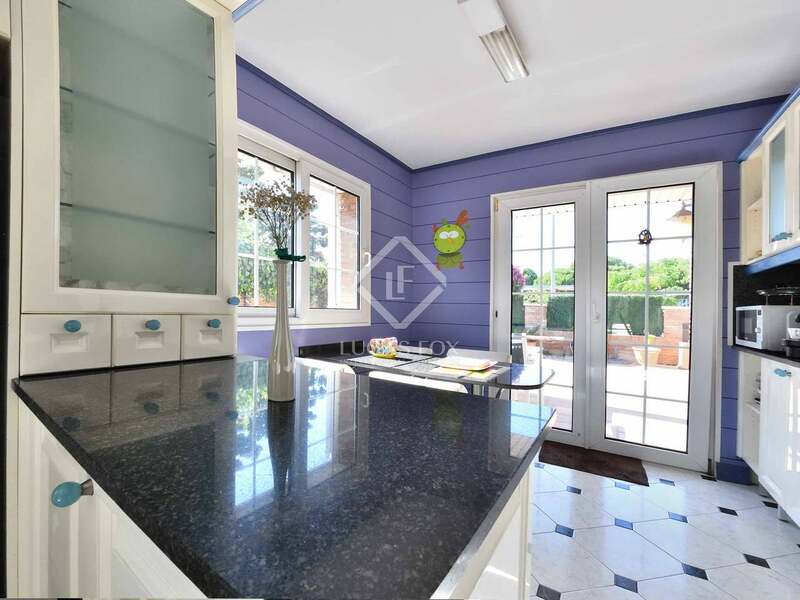 The large kitchen is well equipped and has a bar perfect for breakfast and informal dining. 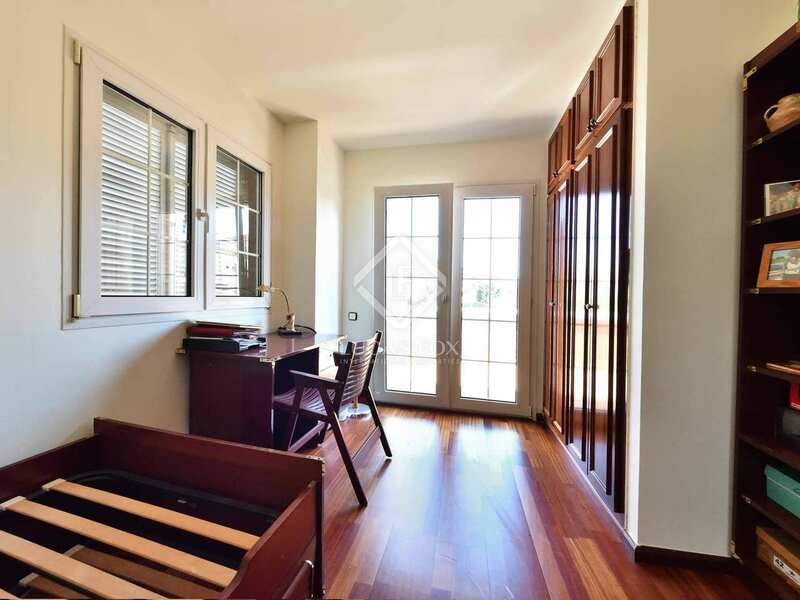 A room currently used as an office and a guest toilet complete the ground floor. 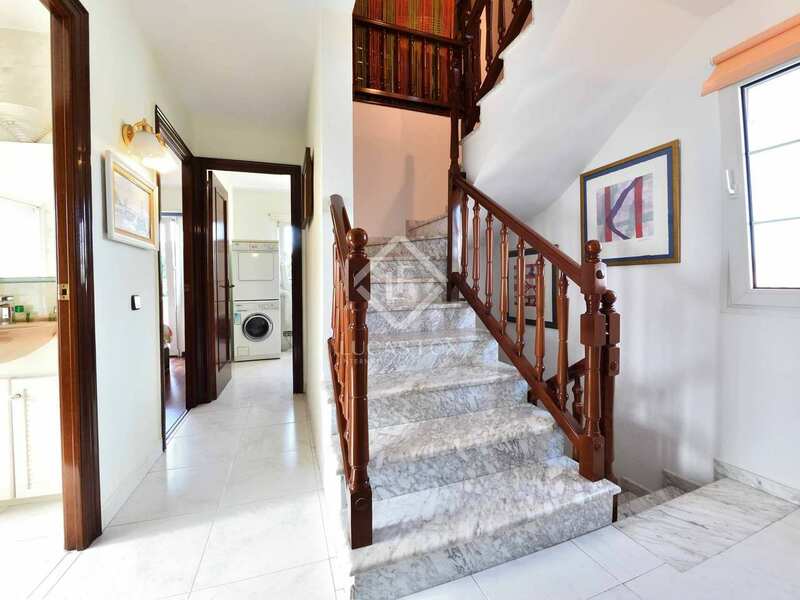 On the first floor we find 4 bedrooms of which 2 are double bedrooms with built-in wardrobes and access to a terrace. 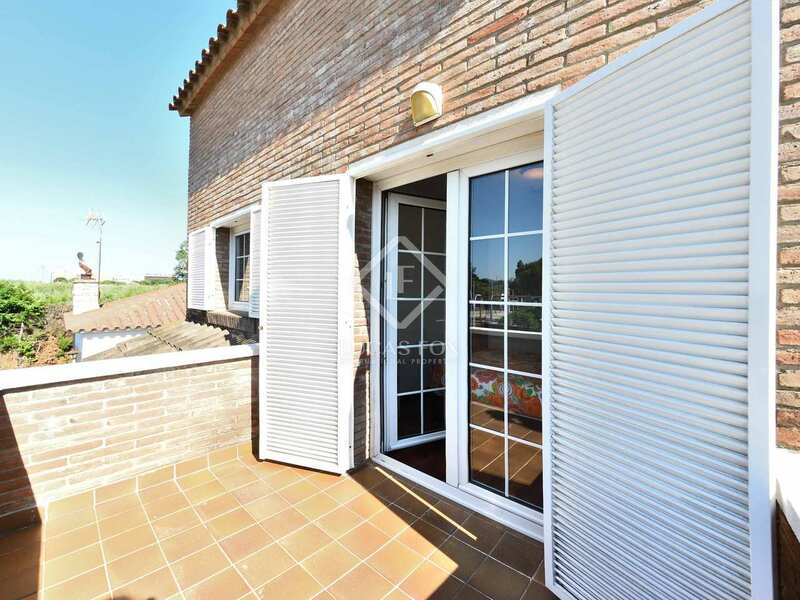 The 2 single bedrooms have access to another terrace. 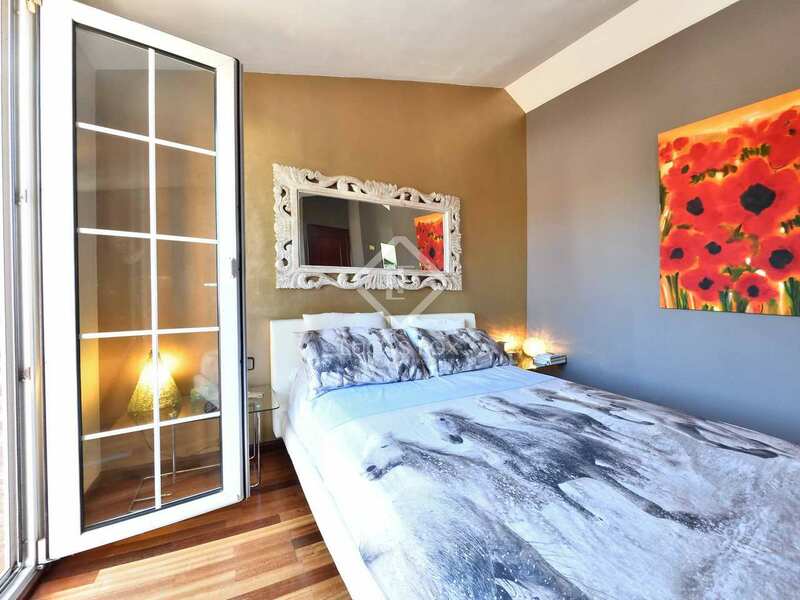 The master suite on the upper floor has a dressing room, en-suite bathroom with a jacuzzi and access to a large solarium, ideal for making the most of the excellent climate. 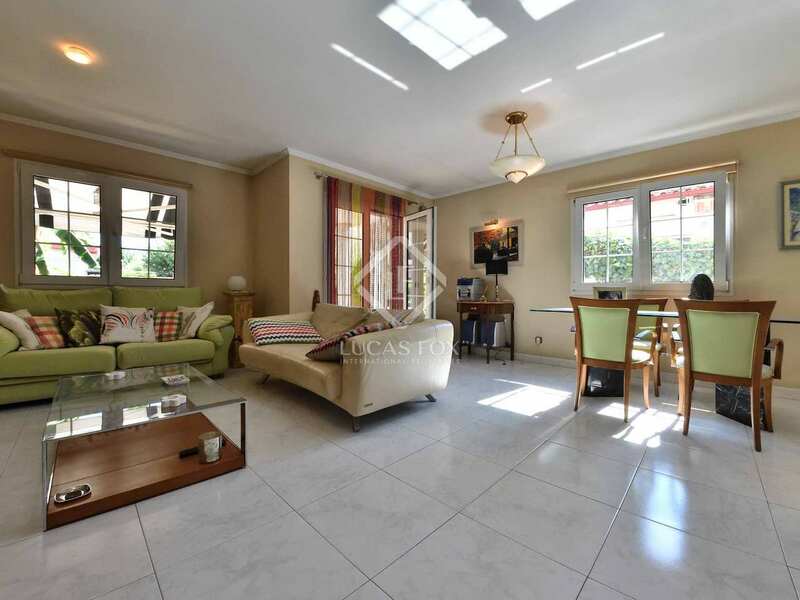 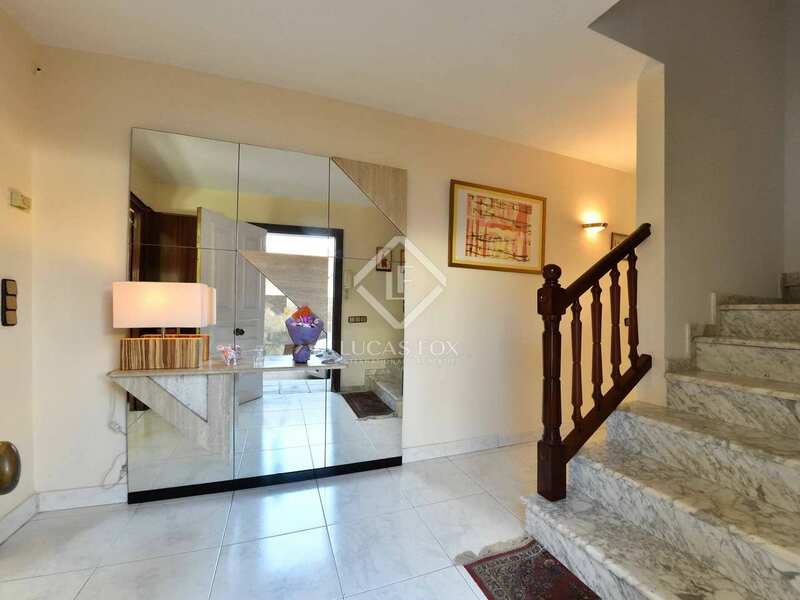 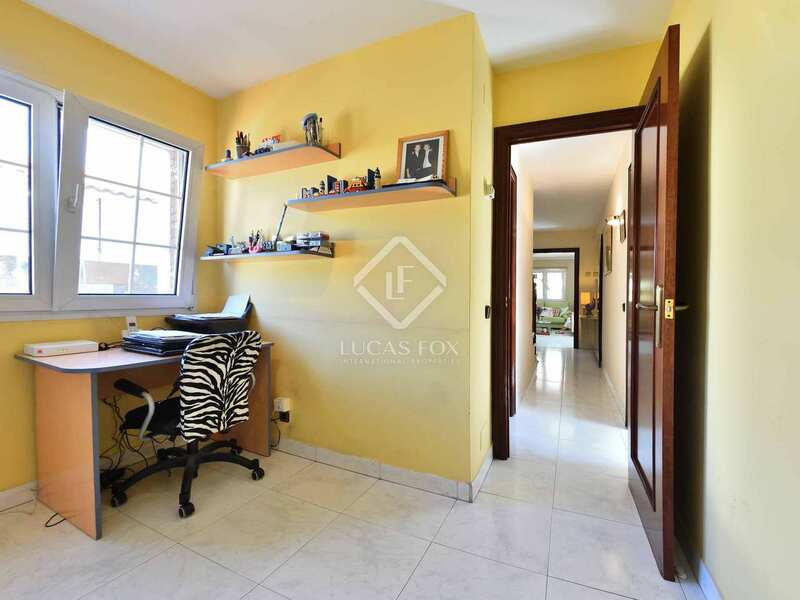 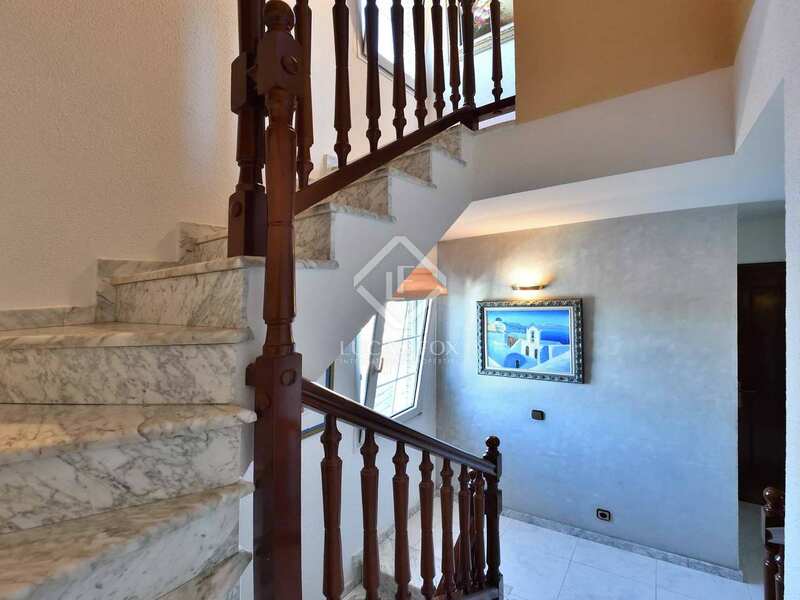 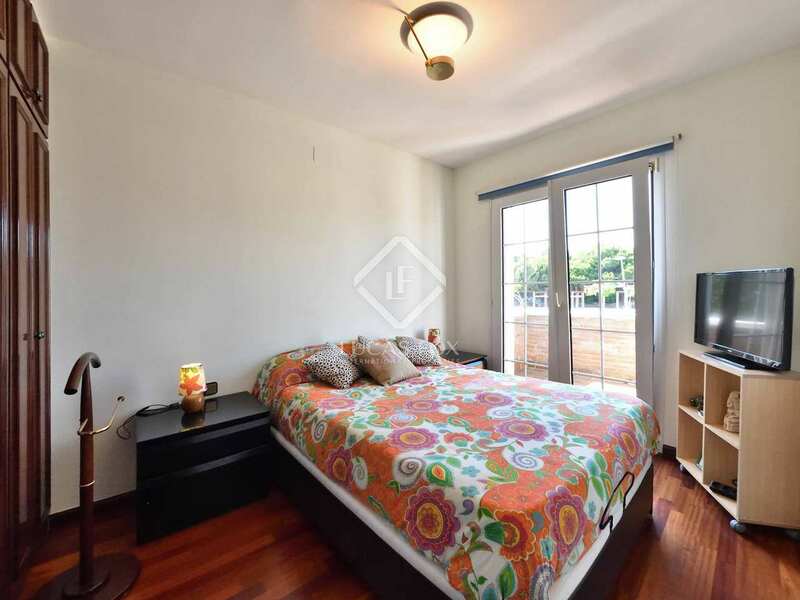 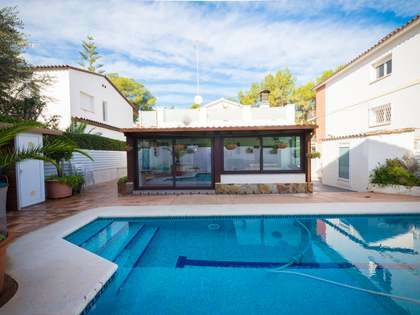 This property would make a fantastic family home given its proximity to international schools. 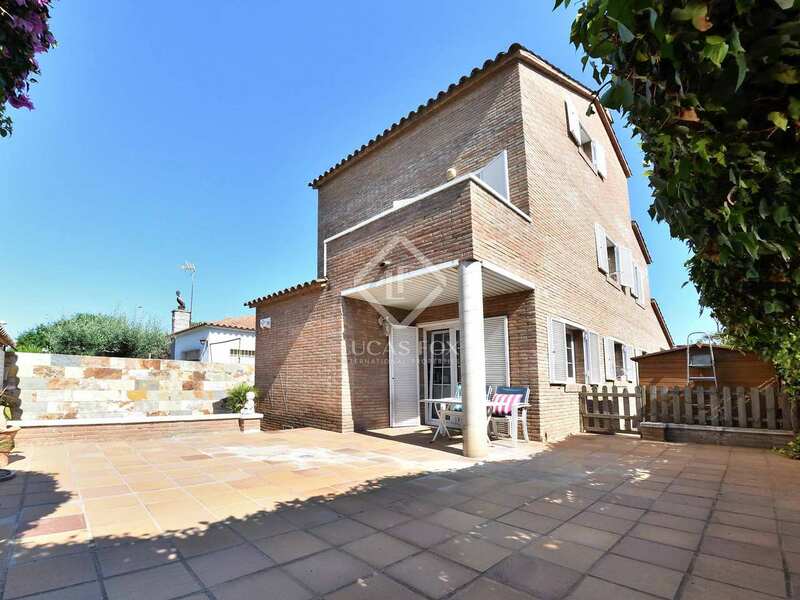 It also an interesting investment opportunity thanks to its excellent public transport connections and proximity to Barcelona airport, which can be reached by car in just 8 minutes. 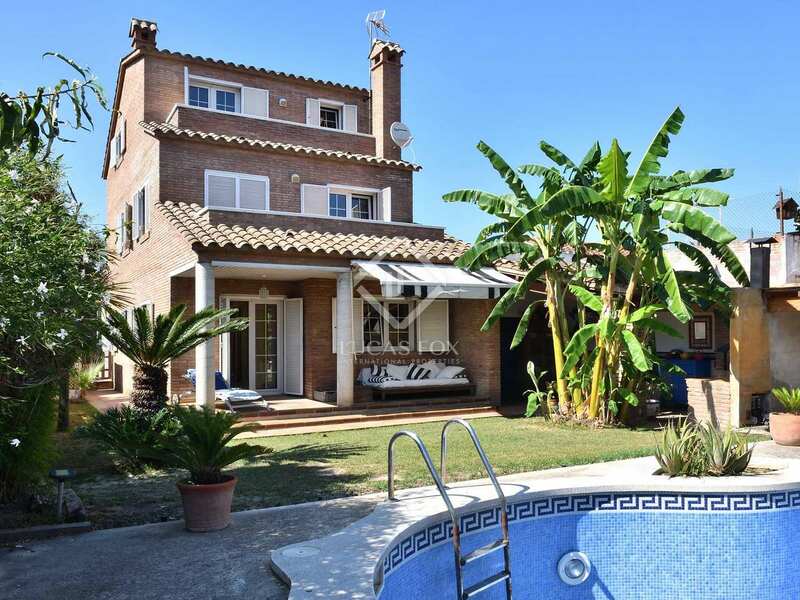 Can Bou in Castelldefels has excellent public transport connections. 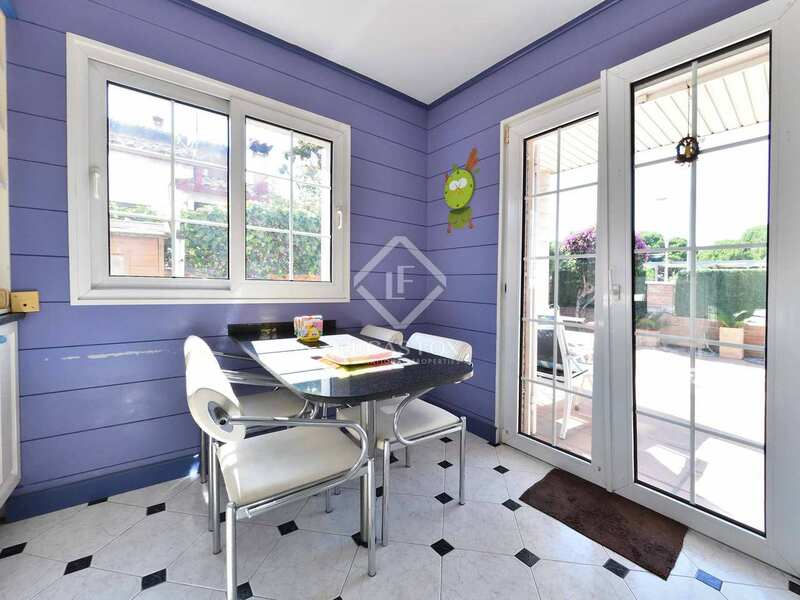 There are bus services 2 minutes from the property and 6 minutes away there is a Renfe train service direct to the centre of Barcelona. 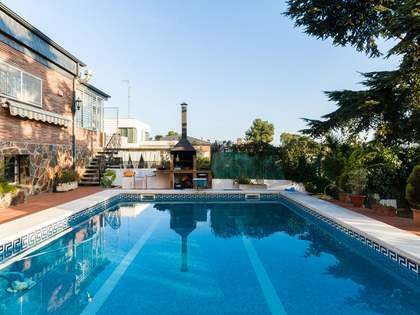 Barcelona airport can be reached by car in just 8 minutes whilst the British School is 12 minutes away on foot.